What to cook when you’re in a household of limited taste buds…. boasting a long list of “what I don’t like” I was back home, in a limited kitchen with a very limiting list of “what I will eat”. 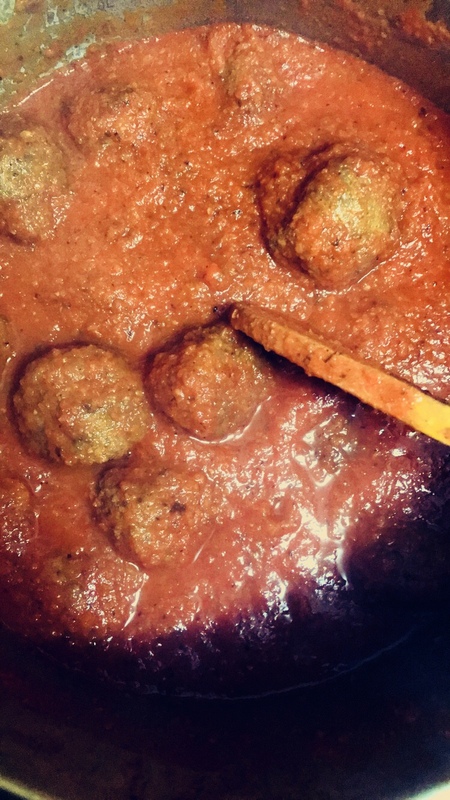 But who doesn’t like meatballs? With my extended trip home to Northern Tas, Winter has set in earlier than anticipated (seriously, for the proximity, the weather in Victoria is much better, and it’s already mid April). So used to the extended summers that Gippsland had to offer, it’s been an adjustment. The slow cooker’s out, had a work out already and is well and truly warmed up – as is the soup pot and all thoughts warming and comforting when it comes to food and cold weather. 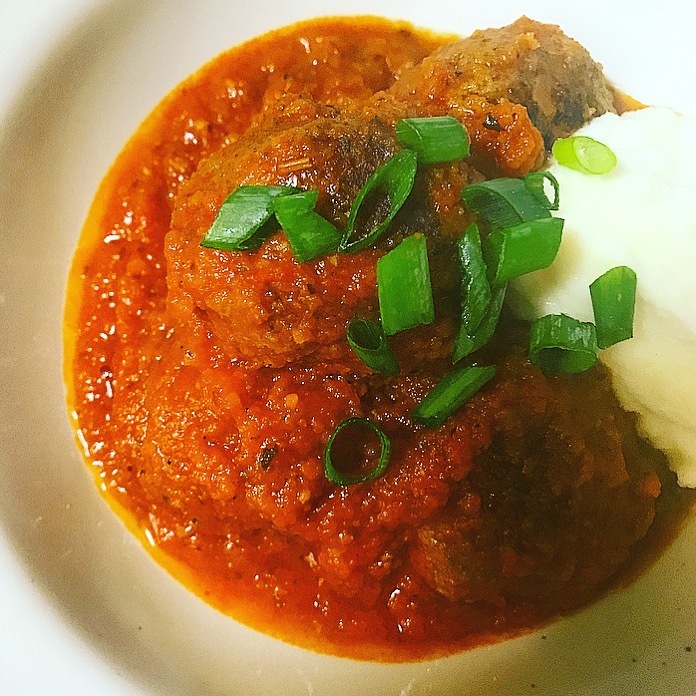 So fitting of the weather, and much to one’s cynicism of my way of cooking – I formed what I think is a very basic, but authentic meatball dish that (surprisingly) my family all ate and enjoyed – mission accomplished. 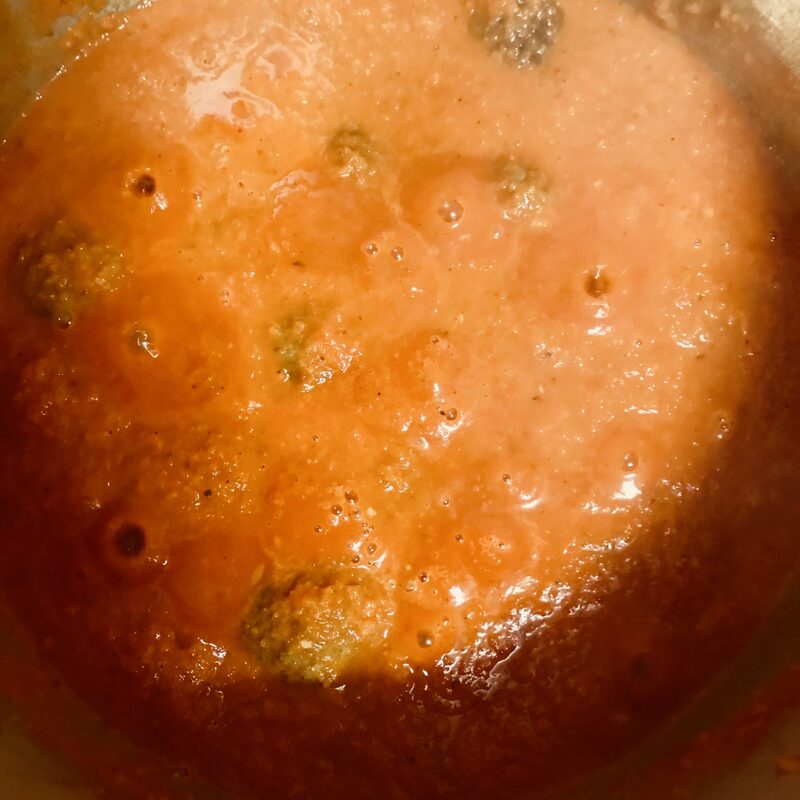 Mix the meatball ingredients together and roll into small golf balls, Brown the meatballs in a non stick pan and set aside. Process the onion, garlic and carrot. Sauté the onion, garlic, carrot and zucchini in the hot pot. Once softened, add the wine, Worcestershire and allow the alcohol to cook off (you won’t be able to smell wine). Add the tomatoes and stir well, bring to the boil & then remove from the heat. Carefully use a stick blender to purée the mixture and then return to the heat. Add the seasonings and bring the sauce to a simmer. Add the meatballs and cook for 30-40 minutes until meatballs are cooked through, stir the basil through and serve. Serve with cauliflower mash if desired.